The SDF offensive on Hajin, the last ISIS stronghold in Syria, continues with heavy fighting. According to SDF data, 71 jihadists have been killed in the last 24 hours. The Syrian Democratic Forces (SDF) Press Office announced that the final phase of the "Cizirê Storm" offensive in the northeastern Syrian region of Deir ez-Zor on the border with Iraq, which started on September 10, is continuing with the goal of the liberation of Hajin, the last ISIS stronghold in the region. 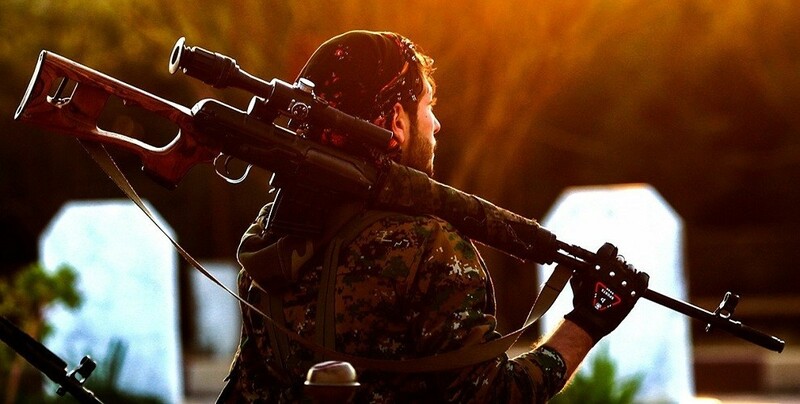 On the fronts of Bagouz and Hajin again violent clashes took place after positions of the SDF were attacked by ISIS mercenaries, reported the SDF Press Center in a 24-hour balance sheet on Sunday. During the same period, the International Coalition carried out a series of air and ground operations. On Bagouz front, SDF fighters have advanced another two kilometers, seized control over 29 ISIS points and confiscated a large quantity of weapons and ammunition. Amid clashes and strikes by the International Coalition, SDF fighters built six new military points in the area. At the Hajin Front, ISIS mercenaries attacked the positions of SDF fighters who retaliated the aggression, resulting in fierce clashes. Many ISIS terrorists were killed or wounded during the fighting here. ISIS groups then started to target SDF positions with artillery and howitzer attacks but the bombardments did not cause any harm or casualties on the SDF. Some SDF fighters got wounded during clashes and they are being treated at hospital at the moment. - International anti-ISIS Coalition carried out 50 air and ground operations.